Serving our nation comes with some exclusive benefits that are sometimes overlooked. Using a VA loan backed by U.S. Department of Veterans Affairs (VA) for your next home purchase is a benefit that all veterans of our Armed Forces should be utilizing. The intent of the VA home loan was to create affordable housing opportunities to our eligible Veterans by offering a mortgage loan that allowed for little money out of pocket and lower monthly payments (than other loan programs may offer). When considering if you should apply for a VA loan you should first look at some of the advantages. For instance, VA requirements are less stringent than those of other popular products like conventional and FHA. Unlike Conventional loan products there is no minimum credit score to qualify. Rather, a VA approved lender looks at the entire loan application and reviews all the details and circumstances surrounding the entire application. Details such as recent credit history, employment history, assets and overall stability. A VA home loan is a mortgage that is guaranteed by the U.S. Department of Veterans Affairs. VA-guaranteed loans are made by private lenders such as banks, savings and loan associations, or mortgage companies. If the loan is approved, VA guarantees the loan when it is closed. The guaranty means the lender is protected against a percentage of the loss if you fail to repay the loan. 100% Financing - a down payment is not required in most instances. This will generally save you thousands of dollars out of pocket, especially compared to the other loan options. Other than the Rural Housing Loan, all other mortgage loan programs quire a minimum cash investment. No monthly mortgage insurance – the VA loan does not have monthly mortgage insurance, saving you around $100-$200/month on your payment. USDA, FHA and Conventional mortgages generally require monthly mortgage insurance which is a cost the borrower pays for an insurance policy used to protect the lender from default on the loan. Low Interest Rates – the VA home loan generally offers some of the most competitive rates in the country. Typically, the a 30-year fixed VA loan is about .250%-.750% lower than a traditional Conventional Mortgage loan. Flexible Guidelines – the VA loan technically doesn’t have a minimum FICO requirement (which nearly all other loan programs do). That said, a borrower generally needs a minimum score of 620 to pass automated underwriting, however lower scores are allowed but may require a manual underwrite (which means there are more stringent requirements to qualify). Additionally, VA loans offer some of the highest Debt-to-Income (DTI) ratios of any home mortgage. Jumbo Loans with little down – most loan amounts over $484,000 are what are considered a ‘jumbo’ loan. Conventional jumbo mortgages require a 10% down payment, whereas on a VA loan it is possible to only put 2-3% down depending on your county loan limit and available entitlement. Ability to use multiple times – a common misunderstanding is that you can only use the VA Home Loan benefit once. In reality, you can use your VA home loan benefit as many times as you’d like. Additionally, you can have multiple VA loans at the same time. For example, if you own a home currently (secured by a VA loan) and are looking to buy another. Instead of selling your existing property you could rent it out. Then, when you buy your next home you could potentially get another VA loan on that residence as well. In this scenario you’d have a VA loan on your old home and on the new one. 6 or more years in the National Guard or Reserves – 1 year of credible service is a year in which you earned the full retirement credits, meaning you drilled consistently throughout the entire year and were awarded a credible year. Must use for a primary residence (single family home, townhome, 2-4 unit, VA-approved condo, manufactured home). 2nd home and investment properties are only eligible for an IRRRL refinance assuming it has an existing VA loan. If you’re looking to buy a 2nd home or investment property then only a Conventional Mortgage is allowed. When considering a VA loan, you should start by looking up your Certificate of Eligibility (COE). The COE is confirmation that you are eligible, lists whether you have any VA disability income, and will list your available entitlement amount. The COE can be obtained at the Veterans Information Portal. The lender can assist with obtaining this at no cost, so contact us today for assistance pulling your COE. If your COE is not available through the portal, get with your lender to assist you with filling out a Request for COE form. This along with your DD214 (or points statement) will have to be uploaded to the VA portal for review. The amount of Entitlement you have available correlates to how much the VA is willing to finance for you up to 100% financing. Generally, $1 in entitlement correlates to $4 in the purchase price of the hoe. The VA gives each eligible servicemember a “base entitlement” amount of $36,000 for a VA home loan. This is the amount that the VA is willing to ensure for the lender and correlations to a loan amount of $144,000. “Bonus” entitlement is available for Veterans looking to borrow more than $144,000. The VA will provide eligible Veterans additional entitlement (i.e. guaranty) of up to $68,250; this is often referred to as Tier 2 entitlement. This bonus entitlement is used for VA loans between $144,000 and the conforming loan limit which is generally $484,350. In certain high-cost counties the conforming loan limit is even higher which in turn allows the bonus entitlement to be higher as well. Entitlement is an exceptionally confusing concept, even for many loan officers which is why working with a VA loan expert is important. Our team is highly experienced and well-versed with VA loans. Contact us today for help determining your entitlement and helping to verify you’re eligible for the maximum financing you want to obtain. The VA Funding Fee is a VA-imposed fee applied to every VA purchase and refinance loan. The fee helps to fund the VA program and is what helps the VA insure their loans. 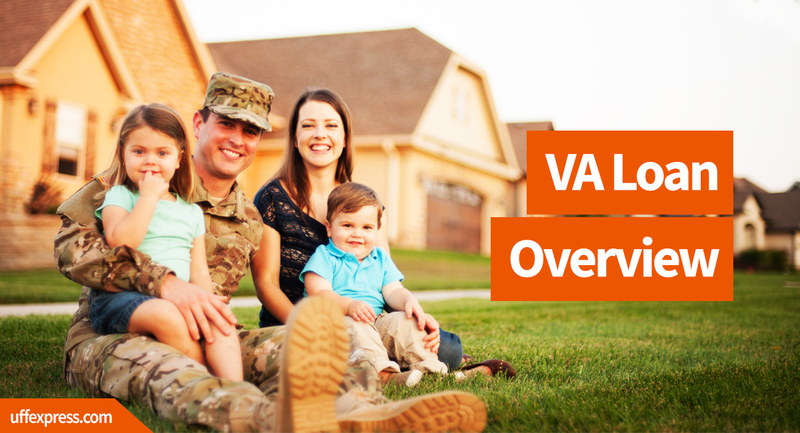 Unlike FHA and Conventional loans, the VA program does not require monthly mortgage insurance. Instead, the VA assesses a one-time fee at closing that is calculated as a percentage of the loan amount. The fee can be paid partially or in full at closing, but most commonly is financed into the loan. Note: on a VA Home Purchase Loan, the Funding Fee is the only fee that can be financed into the loan at closing. The amount of the VA Funding Fee is dependent on several factors, including the nature of the borrower’s service, whether the borrower has used the benefit before, the type of loan and whether there’s a down payment. Active duty and veteran buyers will pay a little less than a Reservist or National Guard buyers. Regular Military borrowers using their benefit for the first time and not putting a down payment will see a fee for 2.15% of the loan amount financed in to the total loan amount. This fee increases after the first time to 3.3%. Although not required, a down payment of 5% or 10% will lower this funding fee to 1.5% and 1.25% respectively. Those in the National Guard or Reserves can expect to see the fee calculated at 2.4% if avoiding a down payment. The mortgage lender will verify your funding fee status during the loan process. This can be found on the COE form mentioned earlier. The VA home loan program offers a wealth of benefits. They are easier to qualify for than other loans and have lower interest rates. They offer zero down payment options and no mortgage insurance helping you save hundreds of dollars per month on your payment.